Halli(gan) and (hand)crafters was founded in Chicago in 1932 by William J. Halligan. 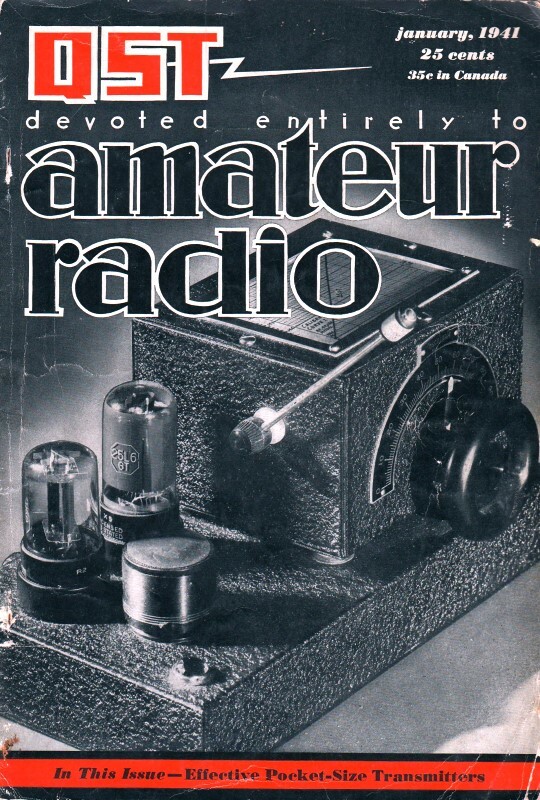 The company designed and manufactured radio equipment for hobby, commercial, and military applications and quickly became very popular amongst their users. As was customary for U.S. businesses, Hallicrafters ran a Christmas advertisement in the January issue of magazines where they appeared. The January edition, as is common even now, is typically mailed in early December, getting it in the hands of readers in time for Christmas. Over two thousand years ago, a small group of men wearily toiled across miles of desert bearing gifts and greetings to an unknown, newly-born babe who lay in the rudely built manger of an old barn. Those men were the forebearers of our present day Christmas message. They were the pioneers who established a custom which has been, and will continue to be, honored until the end of time. In reverence and memory of that greatest of all holidays, we take much pleasure in extending our sincere good wishes and hearty greetings to you and all of yours for the merriest Christmas you have ever known. And for good measure, we wish that each day of 1941 will bring to you new happiness and prosperity. Politically Correct "The 12 Days of Christmas"